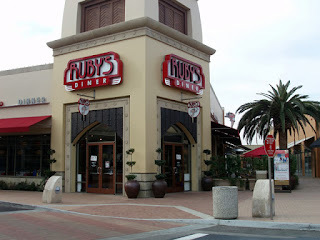 Simply click to see Ruby's Diner current promotions. Join the Rubys eclub to receive special offers and upcoming coupons from Rubys Diner Restaurants. Plus a free meal on your birthday. On Monday July-27 enjoy their classic RubyBurger with fries for only $1.93. Print and present coupon to receive a classic Rubyburger, fries and your choice of a classic shake for only $10.40..
Print coupon to receive a free slice of apple pie at Ruby's Diner.